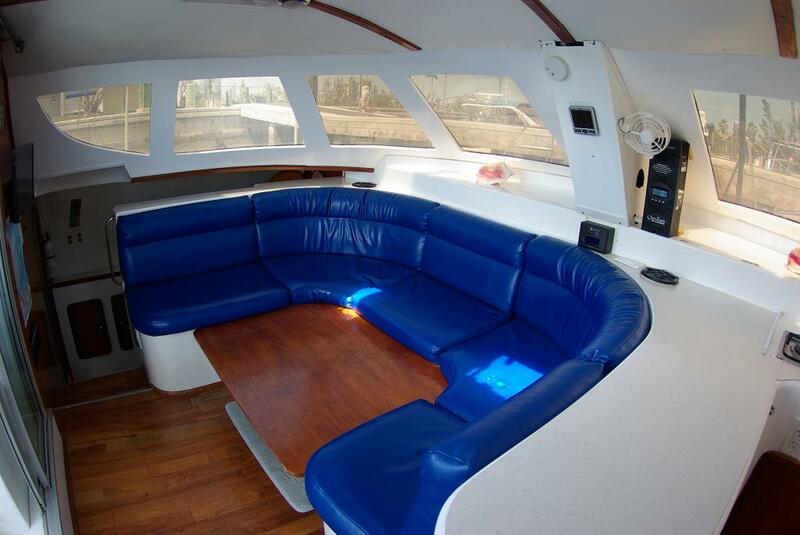 Immaculate & spacious make this sailing cat perfect for LIVING THE DREAM! 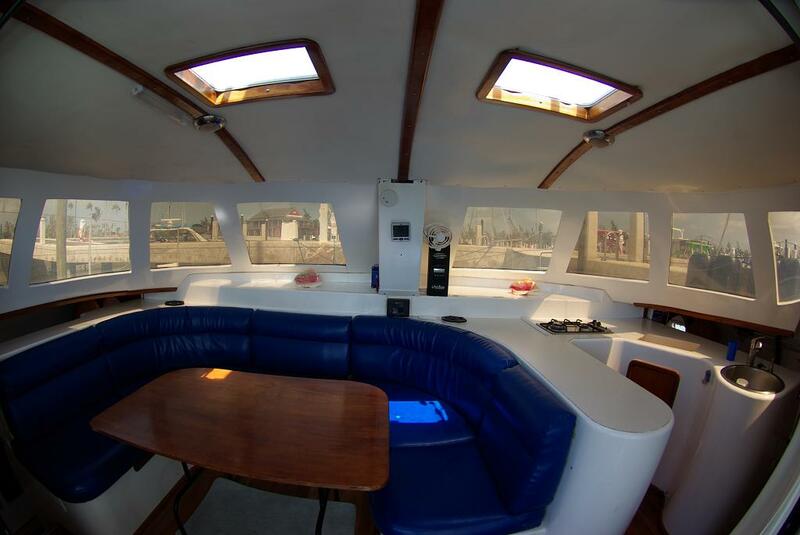 Affordable price for this loved & well cared for 11.5 meter, known as the big 'little cat'. Built in South Africa, sailed to the Caribbean, now in the Bahamas. Always owner operated, NEVER CHARTERED. The Wildcat 350 MK3 is the latest in a large range of modern catamarans designed by Schionning Boats of Australia, built in South Africa by Charter Cats SA. Wildcats are renowned for their safety, high levels of comfort, and their speed. Built with quadriaxial fibreglass and balsa core, the Wildcat 350 is a fast sports cruiser that will tack through 90°. According to the designer, she will sail at 8 - 10 knots to windward and 10 - 13 knots off the wind with a No.1 Genoa in a 15 knot breeze. Sails are by North Sails, hardware by Harken and Anderson. 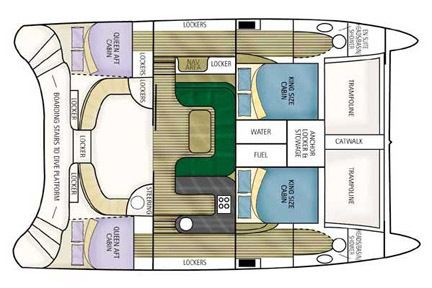 With 18 opening ports and hatches you will be cooled by the gentle Caribbean breeze whilst in the salon or in your cabin. 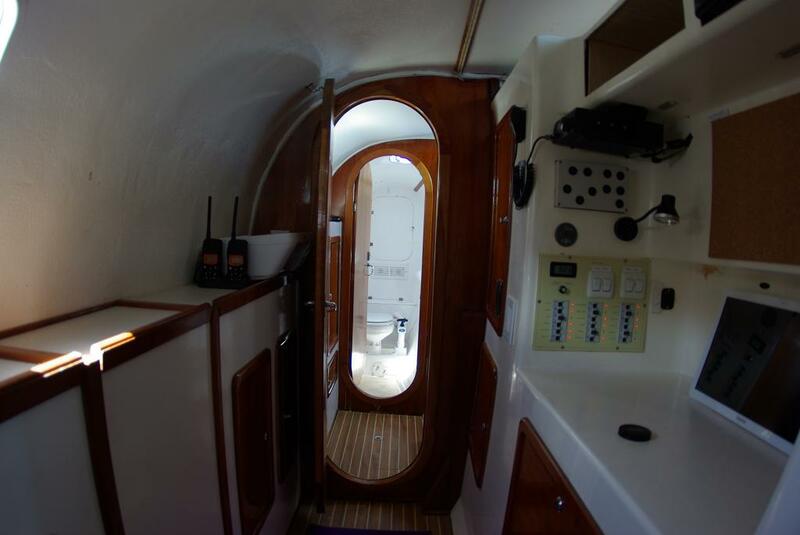 The bathrooms are forward of the fore cabins, so the Wildcat Mk III suits 2 couples (1 in each hull) perfectly, or 2 couples plus up to 4 children or a captain and crew. 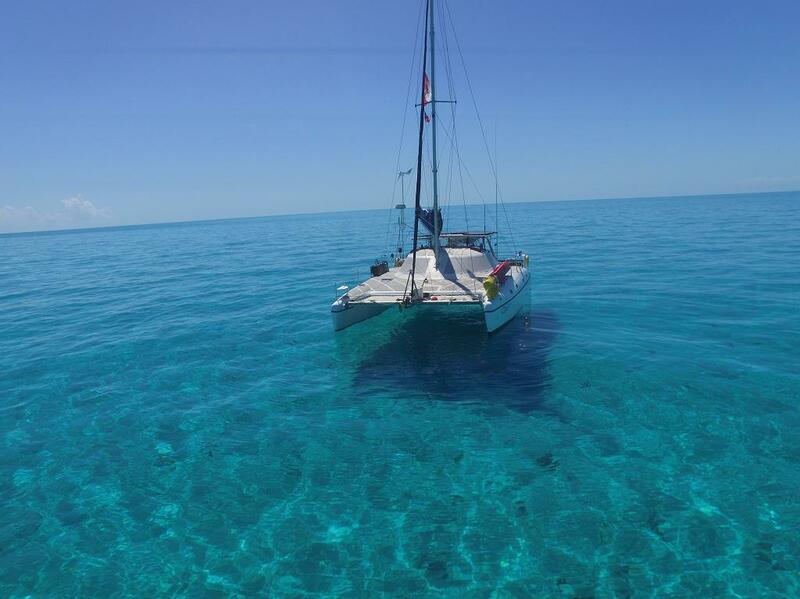 This catamaran is perfect for island hopping and Caribbean cruising, or ocean crossings. Now is your opportunity to sail the world. And the Wildcat Mk III is perfect for long range and blue-water sailing. With her rounded, streamlined hulls she has much less windage from the side. Unlike most production cats, with their high freeboards and flat sides that look and act like the side of a barn, the Wildcat allows cross winds to blow over and around her. This means she takes side winds on the sails, where they are supposed to be, not on the hull. 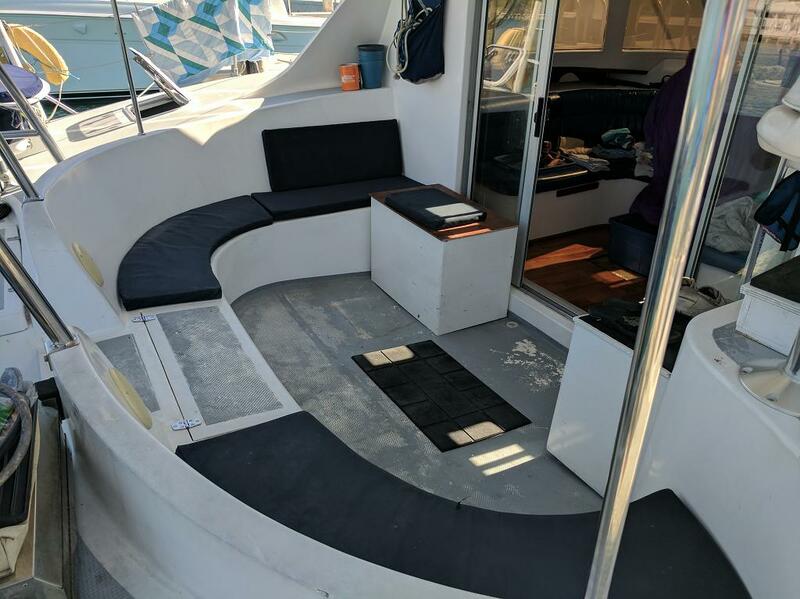 The rounded hulls also mean that should any waves come over the bow and onto the deck they are shed quickly off every side, giving you immediate control and agility. The Wildcat Mk III offers a very comfortable use of space due to her impressive beam, with a larger interior than most 42' catamarans. I finally tidied up a bit and took some photos inside. Still have a few more to come. Large table can seat 8 to 10. Lots of large windows bring in tons of light and give awesome views. The table can fold down to make a bed for 2 adults or 4 kids (up to 4' tall). Cushion not shown to show table down. Queen bed in port forward cabin. On shelf is clock, bluetooth speakers, wireless phone charger, USB charger, temperature. 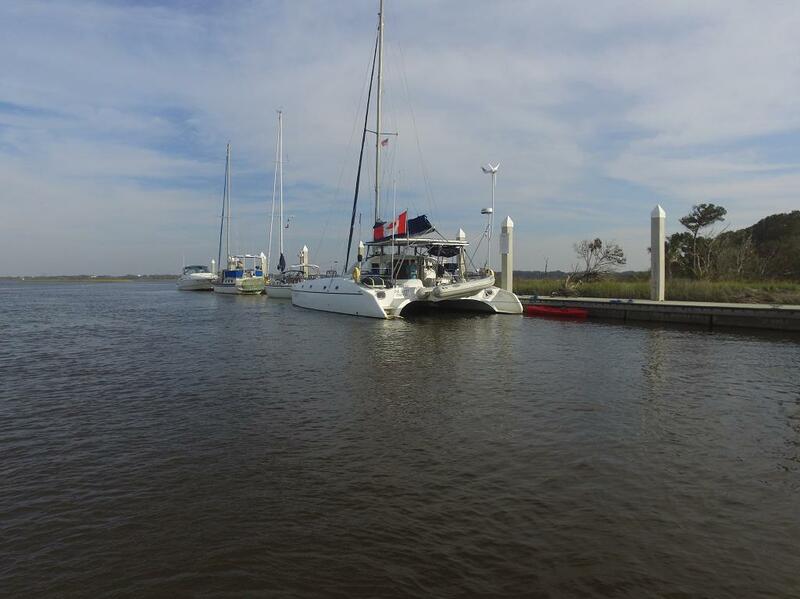 Port hull looking forward showing nav station, forward cabin, head. Port hull with white lights on. Port hull with red lights on. Here are some newer photos. 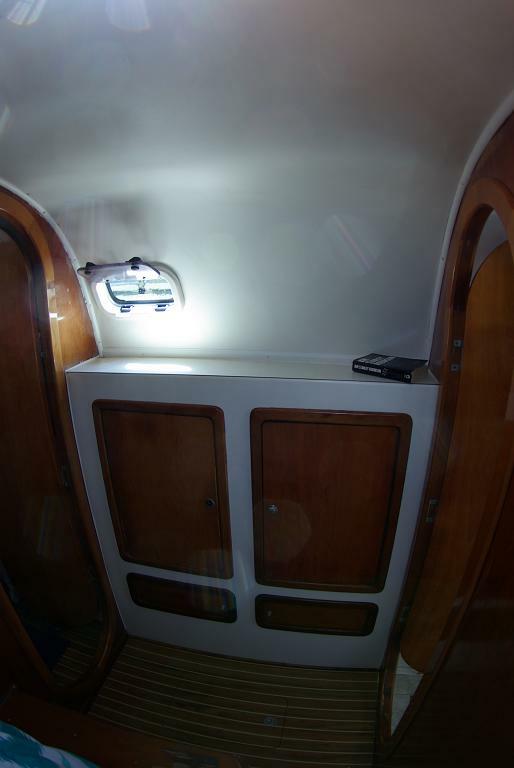 These are mostly outside the boat, I will be posting interior shots once I (tidy up and) take some. Enjoying some fresh caught tuna. Note that there are 4 people (crowded) at one END of the salon table. The tiki-raft with Jennifer, Denis, Ben, Michelle, and Kyle on it. 5 with lots of room. Land Ho! Port bow looking forward while sailing in the Bahamas. 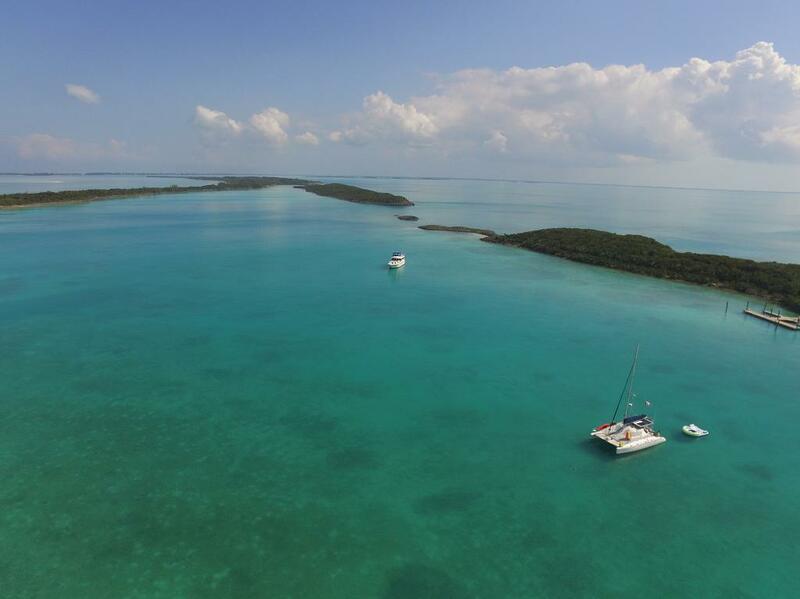 Aerial shot of us anchored at Royal Island, Bahamas with tiki-raft deployed. Becalmed and drifting on the Yellow Bank. 30 kilometers to land in any direction, and all that only 5 meters deep! The arguments between yacht owners over catamarans vs. monohulls are legendary (as are arguments over the best anchor). While no boat is the perfect boat for every person, here are some of the reasons why we feel that a catamaran is the best vessel for sailing in the Caribbean Islands. 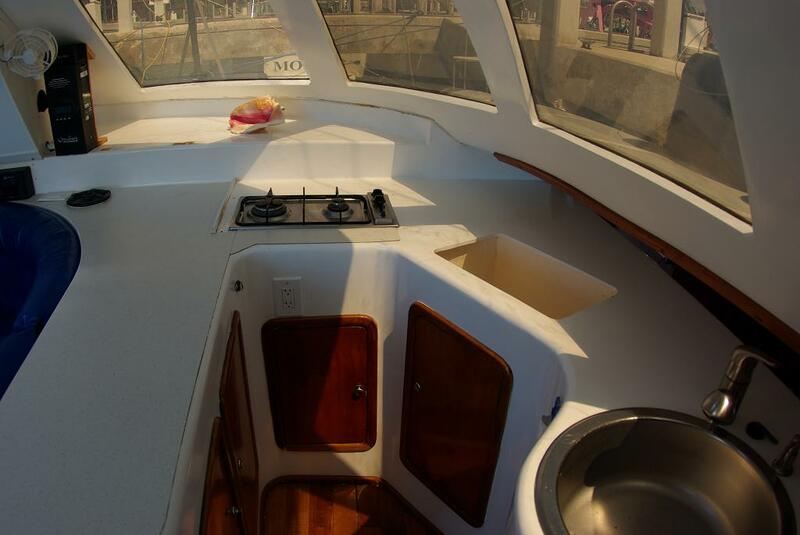 - Catamarans are considerably more stable than a monohull. As such, they do not bang back and forth in swells. So catamaran cruisers can eat, sleep, and live far more comfortably on the hook than a monohuller. 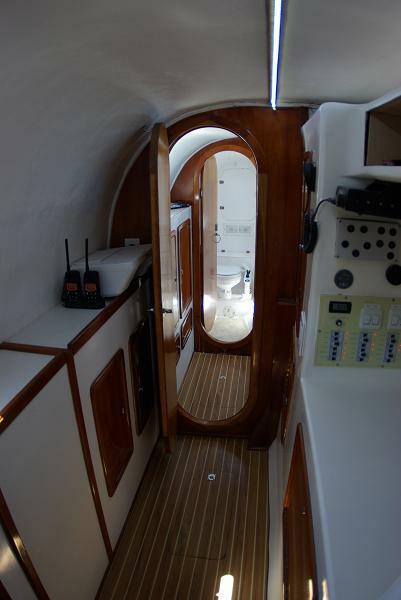 - Catamarans are much wider than monohulls and therefore provide enormous aft cockpits. 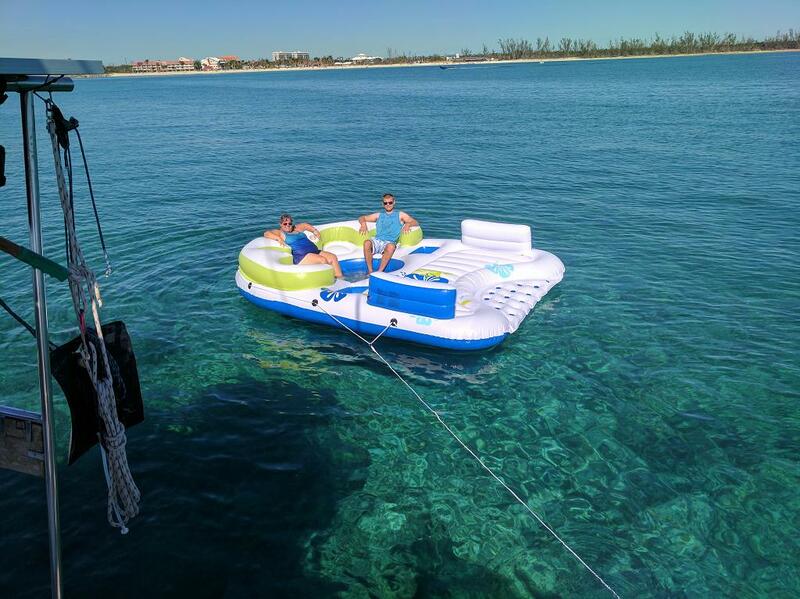 In tropical climates this is an enormous plus because cruisers tend to spend the majority of their time dining, reading, and lounging in the cockpit under the protection of the bimini. 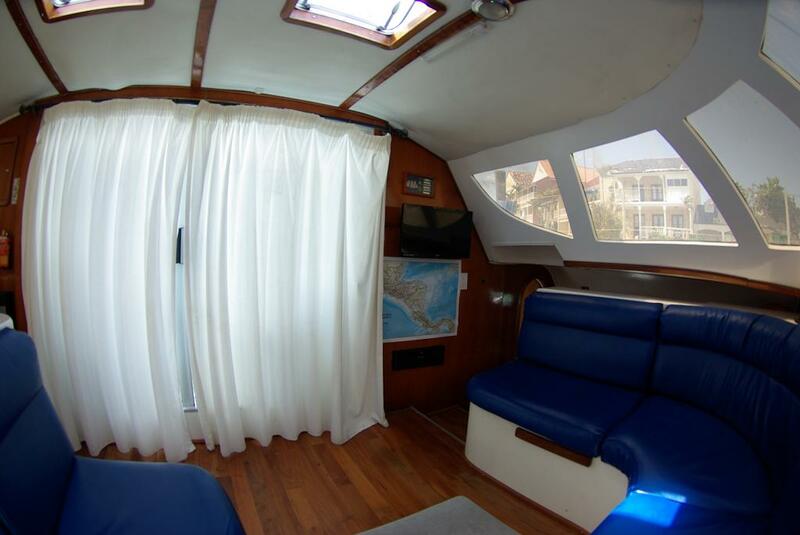 - The main salon of a catamaran is on the same level as the cockpit. 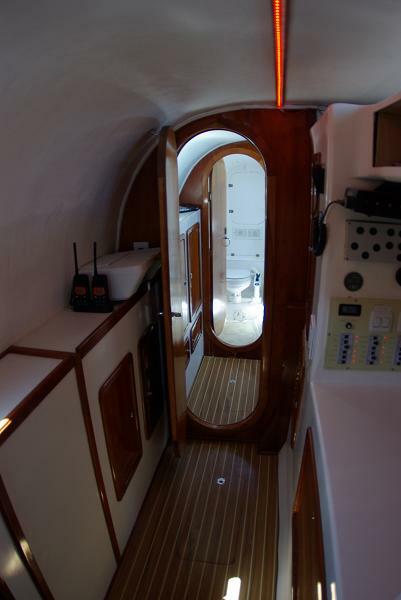 Unlike a monohuller, catamaran sailors do not step down into a deep dark place (where the windows are generally above eye level), but rather straight from the cockpit into a light filled salon. 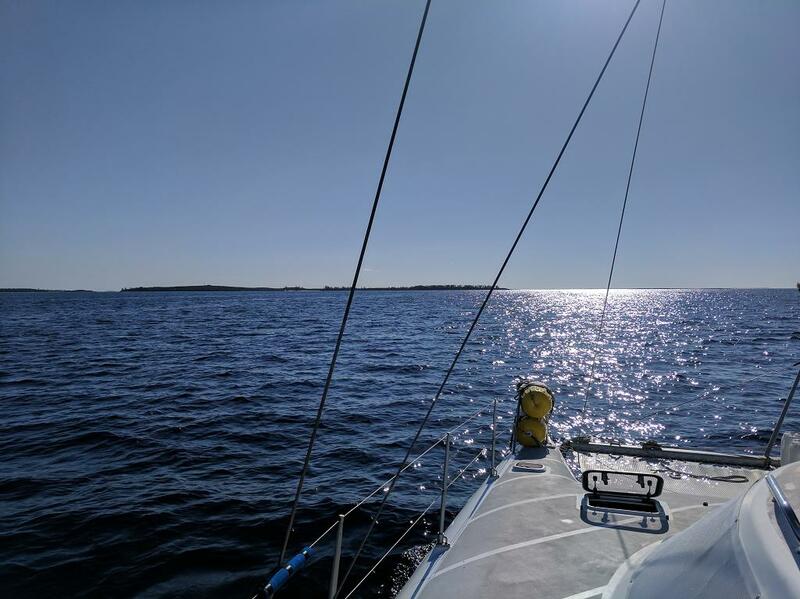 I don’t mean to get New Age here, but catamaran sailors truly “Live in the Light.” Onboard a catamaran you remain intimately connected to the world outside. 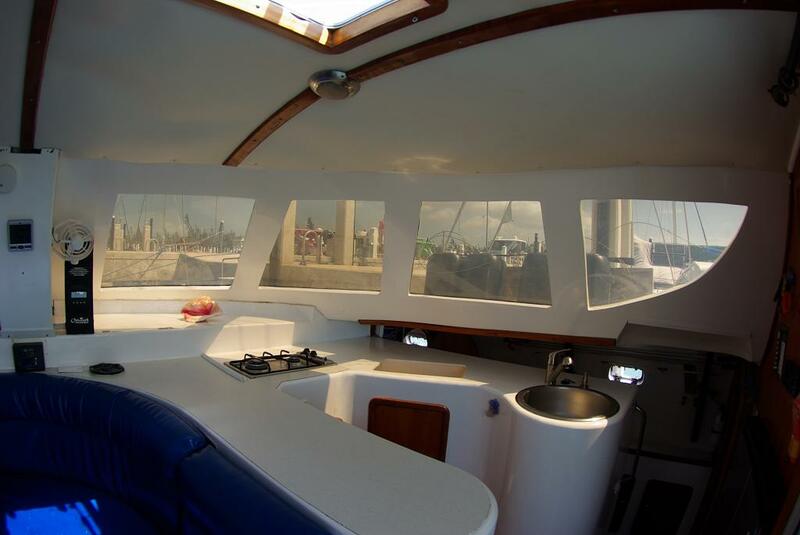 This makes cooking, reading, dining, navigating and lounging far more pleasant on a catamaran than a monohull. 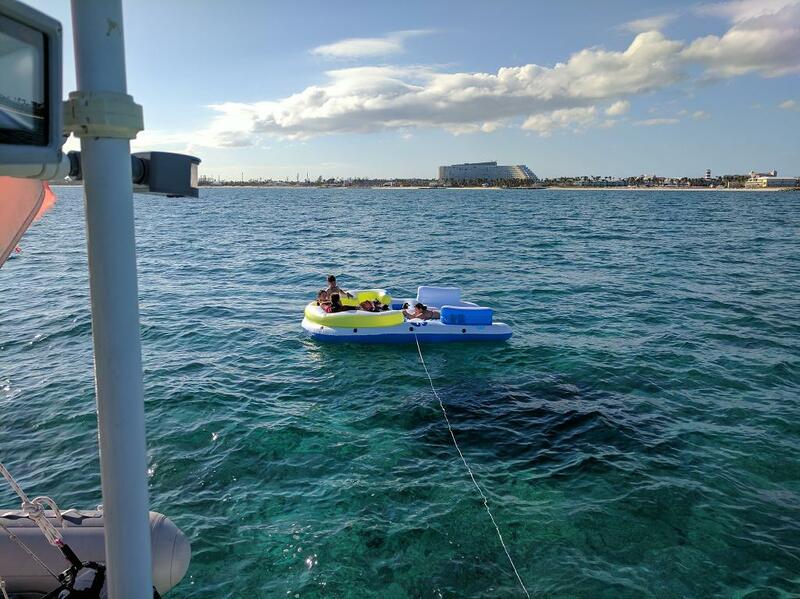 - When sailing with three or more people catamarans offer much more privacy as the two hulls, and the suites and heads within them, are far away from each other. 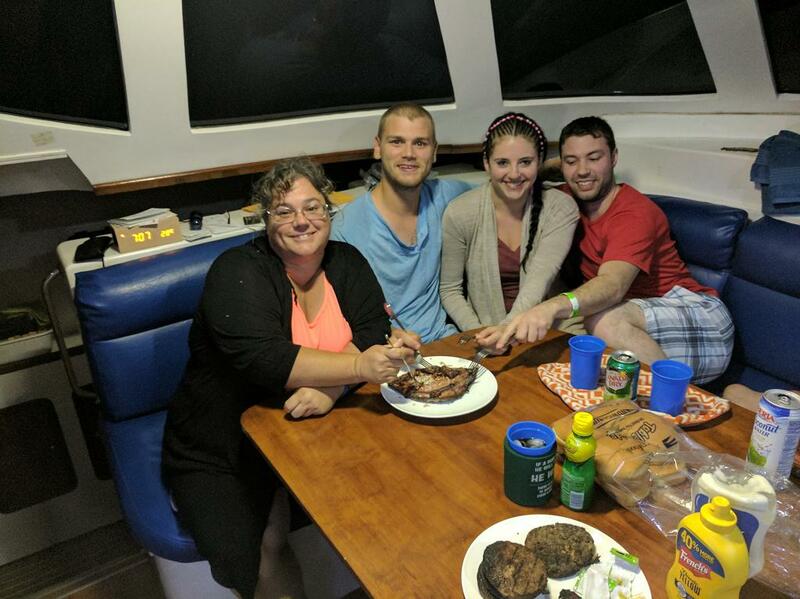 - Cooking is much easier on a cat underway and more pleasant as you are looking out on the world and not “down below.” Most catamarans do not have gimbaled stoves and ovens because they simply don’t need them. - You are far less prone to sea sickness because you have mostly fore and aft pitching and very little beam-to-beam motion. 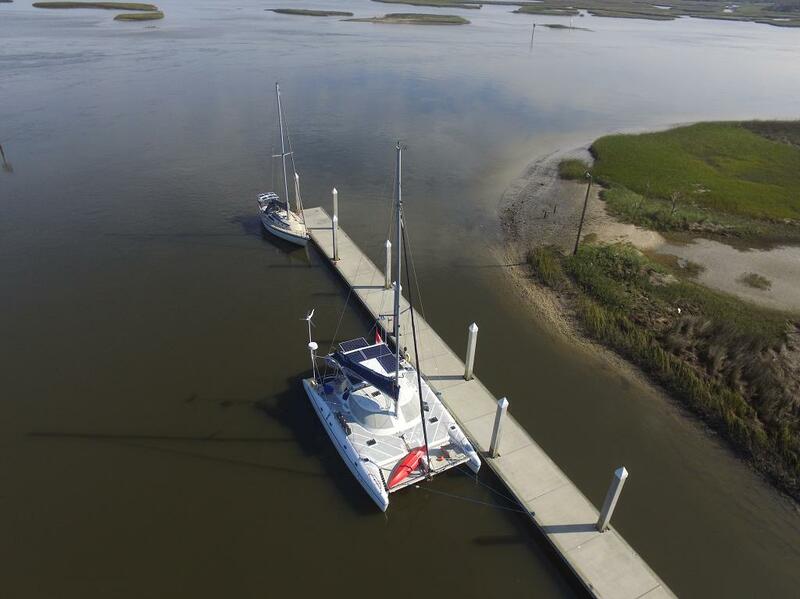 Catamarans don’t roll from swell to swell like a monohull. - Walking on the deck of a cat underway is far easier as the boat is sailing flat. 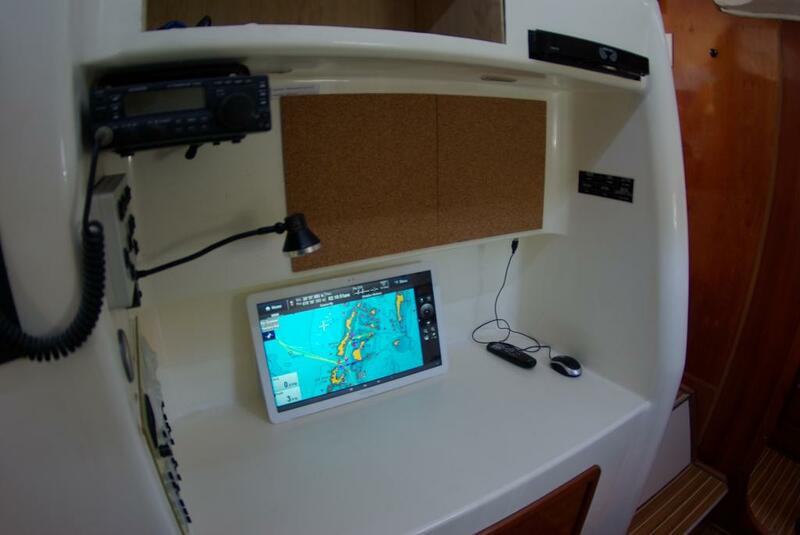 The danger of falling overboard on a catamaran is considerably less than on a monohull. 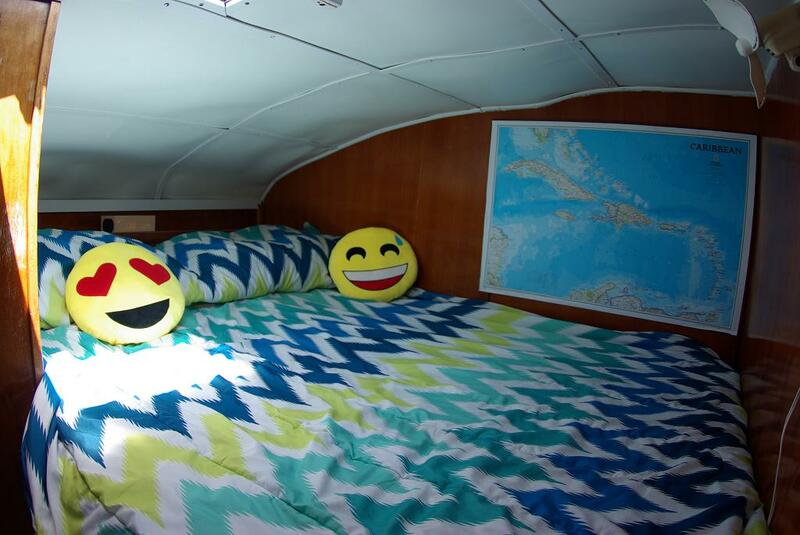 - Finally, it is much nicer to sleep on a boat that doesn’t heel. I also believe that catamarans are superior to monohulls in terms of redundancy. 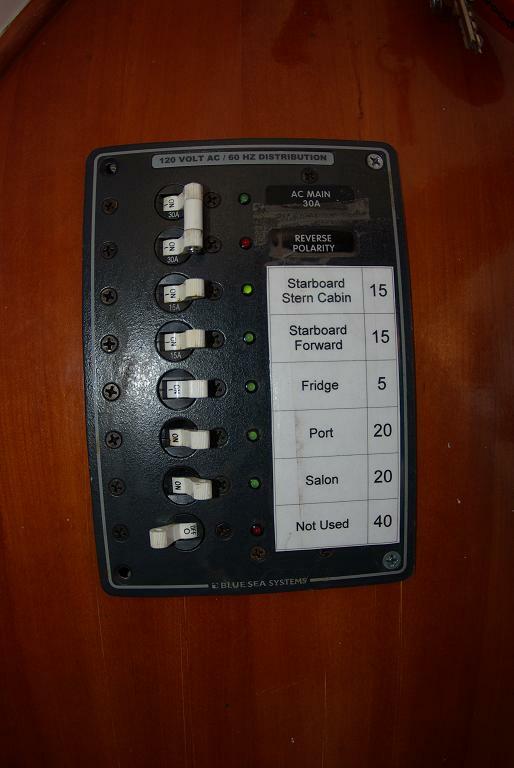 Cruising catamarans generally carry two diesel engines and a generator. An engine failure on a monohull is the end of motoring. Not so on a catamaran. 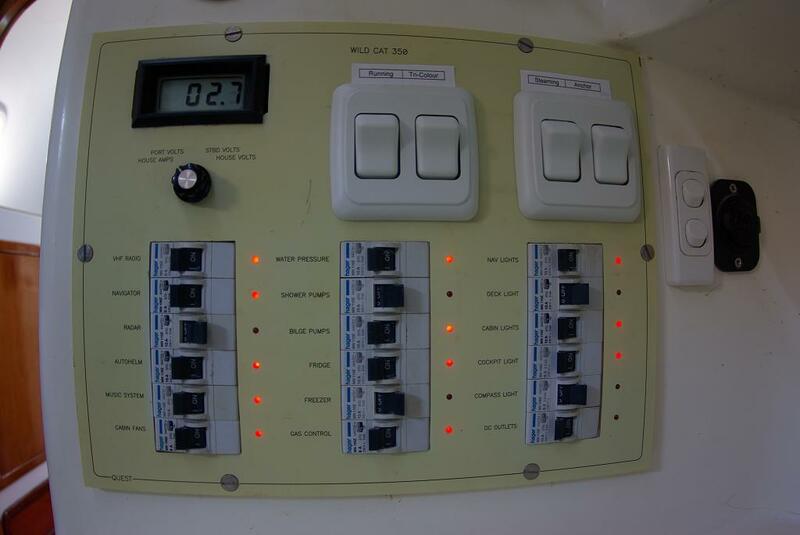 In fact, when motoring, most catamaran sailors only use one engine to conserve on fuel. They use two engines to dock.